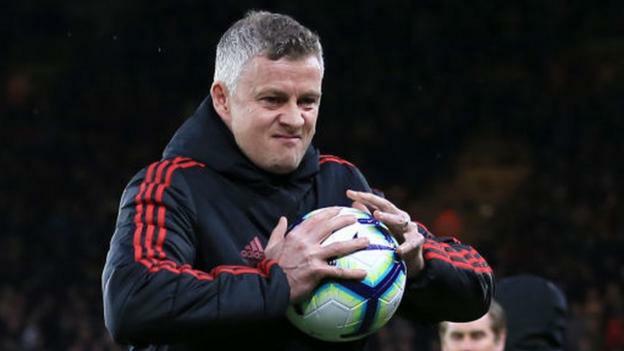 Solskjaer was named permanent boss in March after replacing Jose Mourinho in December. United have won 15 games in all competitions under the Norwegian - but remain in sixth place in the Premier League, two points behind Arsenal. Solskjaer suggested that Wednesday's 1-0 home defeat by Barcelona, in the first leg of their Champions League quarter-final, showed how far United have to go to match the very best. United's squad is set to change over the close season. Contract talks with midfielder Ander Herrera are ongoing amid reports linking him with a move to Paris St-Germain in the summer, but Solskjaer confirmed Antonio Valencia will definitely be leaving and the club will be looking for a new captain. Considering who might take on the role, the manager said: "We've had Antonio, he's going. We've had Ashley [Young], we've had Paul [Pogba] and David [de Gea]. Chris [Smalling] has been captain. There are players here who can be captain on the pitch. We just need to decide who's going to be the voice in and around." United host West Ham in the Premier League on Saturday.